Send faxes via the internet. Is there a better alternative to FaxyApp? Is FaxyApp really the best app in Applications category? Will FaxyApp work good on macOS 10.13.4? FaxyApp is integrated with system address book and provides archive functionality. 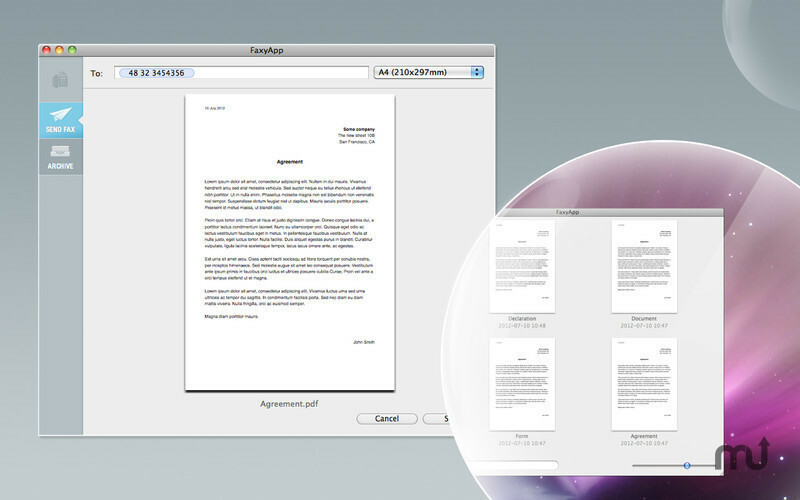 HylaFAX client for OS X which allows you to submit faxes via internet. Submit faxes to server simply by drag & drop PDF file. Integration with any HylaFAX server. Full archive of submitted faxes with live search. PDF preview of sended faxes. Logs console and HylaFAX connection test. FaxyApp needs a rating. Be the first to rate this app and get the discussion started!